Time Out shapes your social life, helping you search your city, or cities all around the world, for the most exciting events, and save the best to create your own travel guide. Find something you love? Save your favourites to a customisable home screen! Accra, Amsterdam, Barcelona, Beirut, Berlin, Birmingham, Boston, Bristol, Chicago, Croatia, Edinburgh, Glasgow, Istanbul, Kuala Lumpur, Las Vegas, Leeds, Lisbon, London, Los Angeles, Madrid, Manchester, Melbourne, Mexico City, Miami, New York, Paris, Penang, San Francisco, Seoul, Singapore, Sri Lanka, Switzerland, Sydney, Tokyo and Washington DC, with more cities being added soon. - Need a night planner or a restaurant advisor? 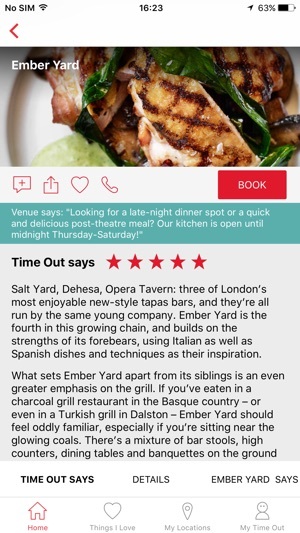 Time Out’s event finder offers inspiration around you, with theatre and event tickets, exclusive offers and tables at restaurants all bookable through the app. Attend the greatest concerts and festivals, get great daily deals on food and drink and more! Time Out makes it possible for you to plan the best trips to get the most out of your weekend. 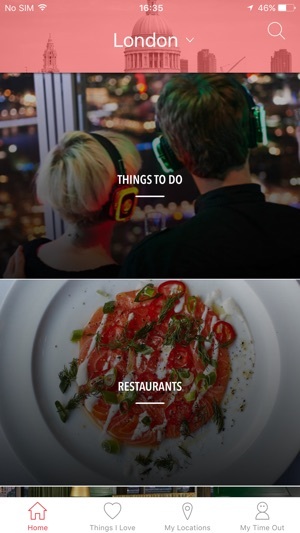 - Customise your Time Out experience and travel to all the events and restaurants that you love. Like to eat healthy? Add vegan restaurants or food festivals around you. Save all of your favourite locations and events to create a customised city guide. 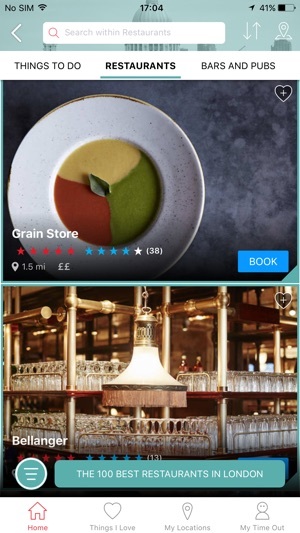 Curate the best of your city, and keep track of your favourite spots! - With Uber and Time Out Card integrated directly into the app, Time Out ensures that you’ll never have to worry about having a good time. Get rides to where you want to be with Uber through the app and save money on deals with your Time Out card! Get exclusive discounts and make the most of your city for less. - Share photos of your favourite festivals and events, store or place to eat. 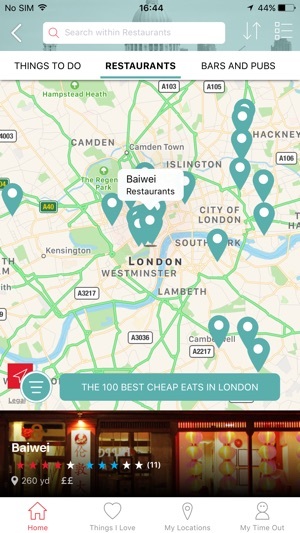 Post about places to eat or favourite cinemas, and use other users as travel advisors when you take a new trip. All you need to discover your city and the world around you is here all on your device. 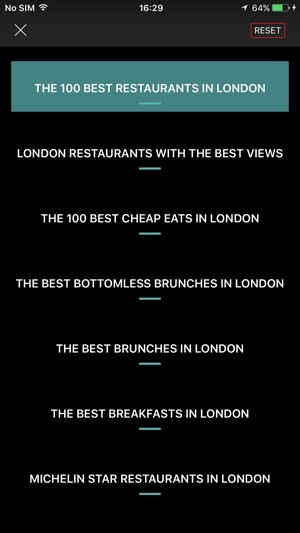 Explore new cities and rediscover your favourite places with Time Out. Pinpoint everything you want to do, see and experience. How I loved Time Out magazine. Insightful reviews, amazingly comprehensive listings. Unfortunately this app is a joke. Looking for today’s films, a limited list comes up. Clicking on one takes you to a list of cinemas, with no timings. Yes, get that, no timings! Clicking on a cinema then takes you to the cinema’s web-page, where you have to navigate through, note down the times on a bit of paper, and then go back to TO for the next one. What took a few seconds in the magazine now takes a huge effort. How hard can it be to provide listings with times? Acquiring Yplan seems to have resulted in yplan just ceasing to exist. It’s a real shame. YPLAN was a favourite amongst my friends to find fun, unknown and well known things to do in the city. They had some incredible offers and an amazing referral system. Since the acquisition by Time Out the app is polluted with all the mainstream events and locations we already know about. The design has lost that simple flat look and feel that made it super easy to find what you were looking for. Key functionality has been removed such as advanced filtering and the app is incredibly buggy. It’s too far gone. My recommendation would be to start over and take the time to understand why and what features made YPLAN was so successful.